You don’t have to look at many health food advertisements to see how many marketing messages focus on antioxidants and free radicals. Marketers depict free radicals as the cause of human suffering, while antioxidants are the ultimate defense and secret to immortality. 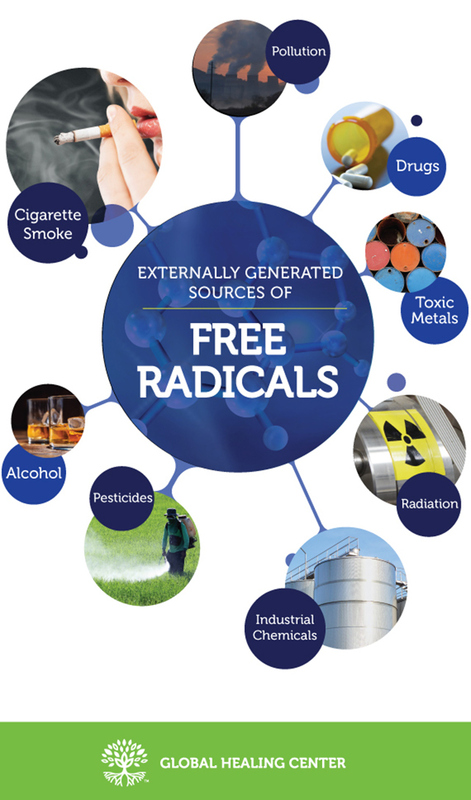 Although the ad wizards exaggerate the truth, free radicals do, in fact, corrupt molecules like DNA, and antioxidants can help reduce the damage they cause. The mitochondria in our cells are responsible for releasing energy from the molecules in our food, but they also unleash electron-stealing free radicals like reactive oxygen and reactive nitrogen species. Fortunately, antioxidants scavenge free radicals and prevent them from causing further damage. The effects of long-term, free radical damage (or oxidative damage) lead to the mitochondrial theory of aging. The mitochondrial theory of aging, like the free radical theory of aging, says that free radical stress causes "aging." But, the mitochondrial theory of aging also asserts that free radicals damage mitochondrial DNA frequently and, over time, the damage accumulates. This regular "wear and tear" on the genetic code impedes the function of the mitochondria. When the mitochondria don't function normally, the cell doesn't receive the energy it needs and, ultimately, the operation of the cell as a whole is affected. When this happens in millions upon millions of cells, the organism itself ages and biological function begins to diminish. The upside is that you can reduce free radical damage. Let’s explore free radicals, how they affect us, and their relationship with antioxidants. Free radicals are atoms, ions, or molecules that contain an unpaired electron. The unpaired electron makes them unstable and highly reactive. In a process called oxidation, free radicals steal electrons from other molecules — fats, proteins, cell membranes, and even DNA — altering the fundamental structure of the affected molecule. One unbalanced molecule may not sound like a major concern, but oxidation sets off a chain reaction by damaging a cell’s DNA, structure, and ability to function. Over time, oxidative damage accumulates and contributes to aging and a variety of degenerative diseases. 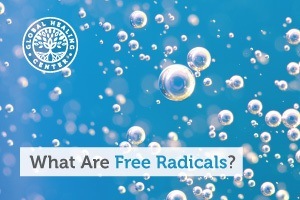 There are many types of free radicals, but when we discuss them in a health capacity, we’re referring to those that contain oxygen in the molecule, known collectively as reactive oxygen species (ROS). Oxygen is an essential element for life, and every cell in your body requires it for cellular metabolism. During cellular metabolism, cells use oxygen to convert food into a form of energy the body can use, called ATP. Free radicals are a natural byproduct of cellular metabolism. Cellular metabolism is not the only source of free radicals. Free radicals generate and are generated by inflammation, stress, illness, and aging. 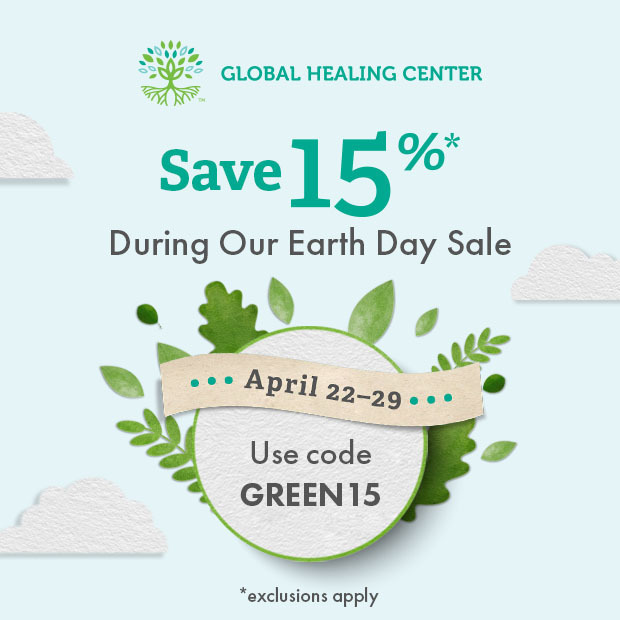 Hazardous environmental sources such as pollution, toxic metals, alcohol, cigarette smoke, radiation, industrial chemicals, and medications expose us to free radicals. Completely avoiding free radicals is neither possible nor desirable. At low concentrations, free radicals are beneficial to the human body. Your immune system uses them to help defend itself against pathogens. As in all things, however, proper balance is critical and problems begin when free radicals are wildly out of balance. When free radicals overwhelm your body, it leads to oxidative stress. Oxidative stress is the oxidative damage that results from an imbalance between free radicals and your body’s store of antioxidants. According to the free radical theory of aging (FRTA), organisms age because of accumulated free radical damage to cells and DNA. The theory states that cumulative damage to cell components and connective tissue leads to wrinkles, decreased physical capability, increased susceptibility to disease, and death. 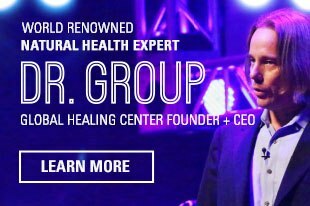 Though the free radical theory of aging remains controversial, oxidative stress contributes to degenerative conditions such as arthritis, heart disease, hypertension, Alzheimer's disease, Parkinson's disease, muscular dystrophy, and more. Free radicals forage through your body looking for electrons to steal (or give away) and they aren’t picky. They need pairs of electrons in order to be stable and they frantically seek molecules to achieve this. Free radicals will take (or leave) an electron, whether it’s available or not, including those in fragile DNA molecules, proteins, and fats. Antioxidants stop free radical damage to molecules by accepting or donating an electron to make it stable. Antioxidants are unique in that they remain stable when they donate an electron. Antioxidants sources are often discussed in terms of their free radical scavenging abilities. The “free radical scavenging activity” of antioxidants varies from one to the next. Found most abundantly in berries, eggplant, red cabbage, red grapes, and other richly-colored food plants, anthocyanins are purple-colored pigments common to all plants. They’re what make blueberries blue and raspberries red. Anthocyanins provide a broad range of health benefits. Polyphenols are a group of several thousand phytochemicals with antioxidant properties. You often hear about the polyphenols in chocolate, but scientists are pursuing and publishing more and more research on the polyphenol called curcumin, the active curcuminoid compound in turmeric. These polyphenol turmeric compounds have been evaluated for a myriad of health benefits. Curcuminoids protect and promote health by activating the immune system, protecting the brain, and influencing gene expression among other beneficial effects. Beta-carotene is a reddish orange pigment found naturally in carrots, pumpkins, sweet potatoes, mangos, spinach, squash, tomato, cantaloupe, peaches. Inside the body, it’s converted into vitamin A. It’s important to note that while beta-carotene itself is a powerful antioxidant, the results of some research has questioned whether vitamin A has any antioxidant activity at all. Lycopene is a bright red pigment found in tomatoes, watermelons, and papayas. Like beta-carotene, lycopene is a carotenoid — a type of phytochemical with antioxidant properties. Lycopene contributes to a lower risk of prostate cancer, blood clots, and stroke. Vitamin C, also called ascorbic acid, supports the immune system and good health all around. It also happens to be an antioxidant. Good sources of vitamin C include red and yellow bell peppers, kiwis, broccoli, cabbage, strawberries, and, of course, citrus fruits like oranges and lemons. Vitamin E is a fat-soluble vitamin known for its antioxidant properties. Sunflower and safflower oil, green veggies, nuts, and seeds are rich sources of this antioxidant. Vitamin E is also readily available in both multivitamins and vitamin-E supplements. 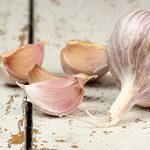 Selenium is an essential mineral and antioxidant that’s critical for thyroid health. Our bodies do not produce selenium, so we must get it from dietary sources or supplements. 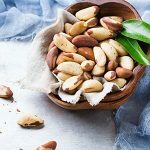 Brazil nuts, button and shiitake mushrooms, lima beans, chia seeds, and brown rice are all good food sources of selenium. Ultimately, healthy living is the product of healthy choices and a commitment to live a healthy lifestyle every day. Many common foods, especially fruits and vegetables, are rich in antioxidants and a carefully planned diet should provide all you need. External and environmental factors, however, can expose us to more free radicals than diet alone can handle. 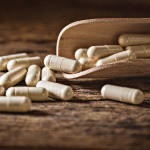 In these cases, supplementation may help. If you’re looking for an antioxidant supplement, I recommend MegaHydrate™. MegaHydrate is a proprietary blend of powerful antioxidants. It provides excellent protection against free radical damage and helps support energy production and metabolic activity. As always, consult your trusted healthcare provider before starting any new supplementation routine and make sure you’re on track to giving your body the nutrition it needs. Lobo, V. et al. “Free Radicals, Antioxidants and Functional Foods: Impact on Human Health.” Pharmacognosy Reviews 4.8 (2010): 118–126. PMC. Web. 14 Dec. 2016. Cadenas, E, and KJ Davies. “Mitochondrial Free Radical Generation, Oxidative Stress, and Aging.” Free Radical Biology & Medicine., vol. 29, 18 Oct. 2000, pp. 222–30. Accessed 14 Dec. 2016. Pham-Huy, Lien Ai, Hua He, and Chuong Pham-Huy. “Free Radicals, Antioxidants in Disease and Health.” International Journal of Biomedical Science : IJBS 4.2 (2008): 89–96. Web. 14 Dec. 2016. Rahman, Khalid. “Studies on Free Radicals, Antioxidants, and Co-Factors.”Clinical Interventions in Aging 2.2 (2007): 219–236. Web. 14 Dec. 2016. Gemma C, Vila J, Bachstetter A, et al. “Oxidative Stress and the Aging Brain: From Theory to Prevention.” In: Riddle DR, editor. Brain Aging: Models, Methods, and Mechanisms. Boca Raton (FL): CRC Press/Taylor & Francis; 2007. Chapter 15. Nimse, Satish Balasaheb, and Dilipkumar Pal. “Free Radicals, Natural Antioxidants, and Their Reaction Mechanisms.” RSC Advances, vol. 5, no. 35, 12 Mar. 2015, pp. 27986–28006. Accessed 21 Dec. 2016. Lila, Mary Ann. “Anthocyanins and Human Health: An In Vitro Investigative Approach.” Journal of Biomedicine and Biotechnology 2004.5 (2004): 306–313.PMC. Web. 14 Dec. 2016. Gupta, Subash C., Sridevi Patchva, and Bharat B. Aggarwal. “Therapeutic Roles of Curcumin: Lessons Learned from Clinical Trials.” The AAPS Journal 15.1 (2012): 195–218. Web. 27 Jan. 2017. “Antioxidants and Free Radicals.” Rice.edu, Rice University. Accessed 21 Dec. 2016. Godman, Heidi. “Lycopene-Rich Tomatoes Linked to Lower Stroke Risk - Harvard Health Blog.” Harvard Health Publications, Harvard Medical School, 10 Oct. 2012. Accessed 14 Dec. 2016. What Are the Wellness Benefits of N-acetylcysteine?